"Sizing & Details" Designed for the Litmann brand, the Camman Tag fits most stethoscopes. Embossing: 2 Lines of 8 characters each line including spacing Note: Shade and grain of leather may vary slightly due to different batches of hide used. 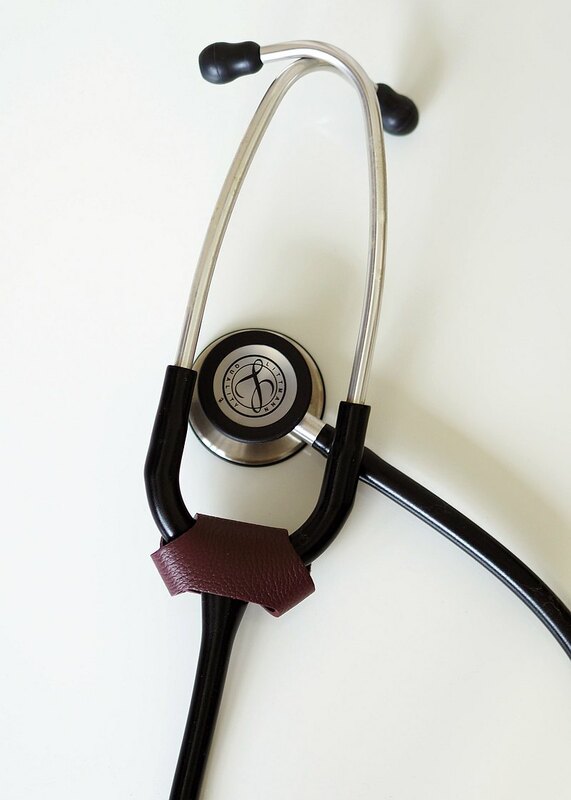 "Description" The Cammann is an elegant stethoscope accessory for medical professionals. Handcrafted using full grain Italian leather and designed to last, it is a unique and personal gift that will be well appreciated by those in the medical field.